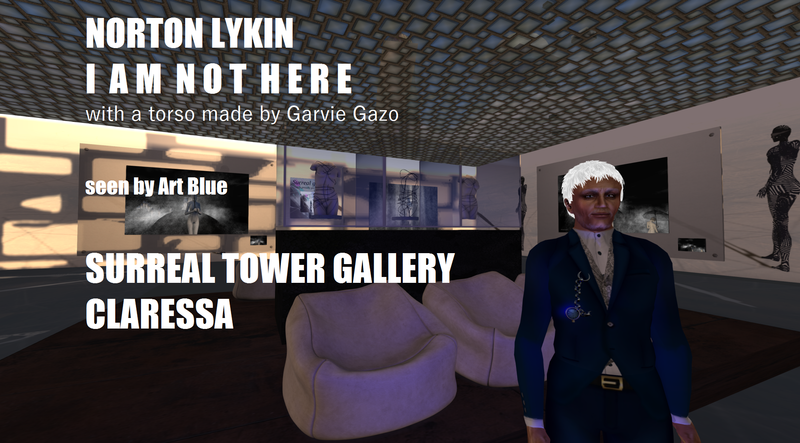 I AM NOT HERE is the title of Norton Lykin´s exhbition in the SURREAL ART GALLERY at the Surreal Tower in SL at SIM Claressa running until end of December 2016 – or maybe a bit longer. So let me shout I AM NOT HERE. I stay INVISIBLE, I stay VIRTUAL, Yes these are my REAL words. Just come in one of the three forms you feel fine to join. It is worth to do. I uploaded the album to IMGUR – maybe I AM THERE?